Aretha Franklin: The Queen of Soul documents the beloved singing star's rocky personal life and internationally acclaimed show business career. An in-depth and frank examination of Aretha, this definitive biography traces her career from her beginnings as a twelve-year-old member of a church choir in the early 1950s, recording her first album at the age of fourteen, a major recording contract at eighteen, and stardom in her twenties, right up through her headline-grabbing 2010 health scare, to her triumphant return: singing to her cheering Detroit hometown fans in summer 2011. 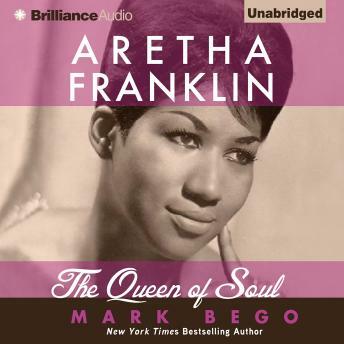 This New York Times bestselling author's detailed research includes interviews with the most important people in Aretha's life, including record producers Jerry Wexler, Clyde Otis, and Clive Davis, her first husband, several of Franklin's singing star contemporaries, and a rare one-on-one session with Aretha herself. Bego's portrayal of the singing sensation is done with clarity and neutrality. A no-holds-barred look at her roller coaster life, it takes her from two teenage pregnancies and an abusive first marriage, to drinking problems, battles with her weight, the murder of her father, and tabloid wars. This critically acclaimed, freshly updated biography will give readers a clear understanding of what makes Aretha Franklin the "Queen of Soul."